I have been greatly encouraged, inspired, and challenged by the candor and thoughtfulness of the leaders who have been featured in the “Our New Day Begun” series. Today the Reverend Wylie V. Hughes joins those voices. Rev. 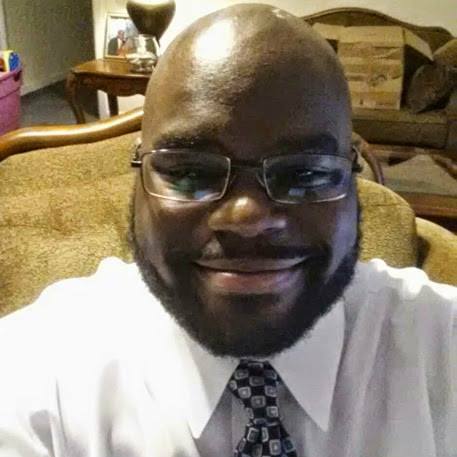 Hughes is a 37-year-old Teaching Elder who hails from Atlanta, GA. He has a passion for the Black American religious tradition, but his offerings today are relevant to the whole Church, particularly his thoughts on community. Lend him your ears. I grew up in the church and literally ran from the call until a few years ago. I have always held a desire to help people and to see them become whole. I previously held a solo Pastor position in a small church in Greenville SC. The demographics were predominantly African American with the average age of 70. With a membership of about 30 congregants, we had about 7-10 active members and 15-20 worshipers on a good Sunday. I no longer serve that congregation and am now looking for other ways that I can serve God’s people. Tell us about your studies in metaphysics and spirituality. How have they informed your ministry? My studies in metaphysics and spirituality have had a tremendous affect on my ministry. It has been a source of strength and stability, as well as a vehicle for exploring new ways to do ministry. My spirituality is deeply rooted in the acknowledgment and honoring of my ancestors upon whose shoulders I stand. When I discovered my ancestors, I discovered myself. They add dimension, destiny and purpose to my life as an African man in America and as a Pastor. The most rewarding thing about being in leadership for me is finally manifesting my destiny as a helper/healer/shepherd for God’s people. It is first and foremost my calling and now it also my vocation. The most challenging thing about leadership for me is the growing/learning process itself. It can be tough transitioning from being a seminarian into being a pastor; at least it was for me. There are things that seminary can’t teach, you just have to learn on the fly or “fake it ‘till you make it”. And in the meantime, you have hold fast to your vision, be reminded constantly of God’s call on your life and stay rooted in the Spirit. Mentorship! Mentorship! Mentorship! The older generation of church leaders should take a more involved role in the grooming of the leadership of the next generation if we are to continue the legacy of our ancestors who shed their blood and sweat that we may have a better life. Also, we have to be more diligent in our community building efforts. The church used to be a community institution that served the community’s needs, thereby establishing a desire from the community to support that institution. So there was always a young pastor or deacon coming up in the ranks to carry the torch of community service. But now it’s backwards. Community support is but a line item towards the bottom of an agenda primarily concerned with sustaining the institution itself apart from the community. It’s very difficult to build leadership among young people with this approach. How can our denomination best honor the perspective of its racial/ethnic minorities? We have made some very powerful overtures in the face of discrimination, but I would like to see more action, less talk. I would like the PC(USA) to demonstrate its so-called dedication to diversity. If we want more African American churches then why isn’t there an initiative to train more African American church leaders? In our quest to be more politically correct, the voice of the marginalized African American has been lost in a new paradigm of multi-ethnic/multiculturalism. In my opinion, this paradigm makes it easier to ignore the historic relationship between the African in America and the Christian church and at the same time hobbles the African American Christian in the struggle for justice. I feel the need to reiterate the dire importance of reclaiming the African community in America during this Black History Month. As we chronicle the achievements of our ancestors and champion their legacy let us remember that they had strong support from the community. The success of the Civil Rights Movement lies completely on the support of a unified African American community and support of its leadership. If we hope to have as much and even greater success today, it must be rooted in a unified community.